« Moana! BluRay, DVD & Digital DVD! 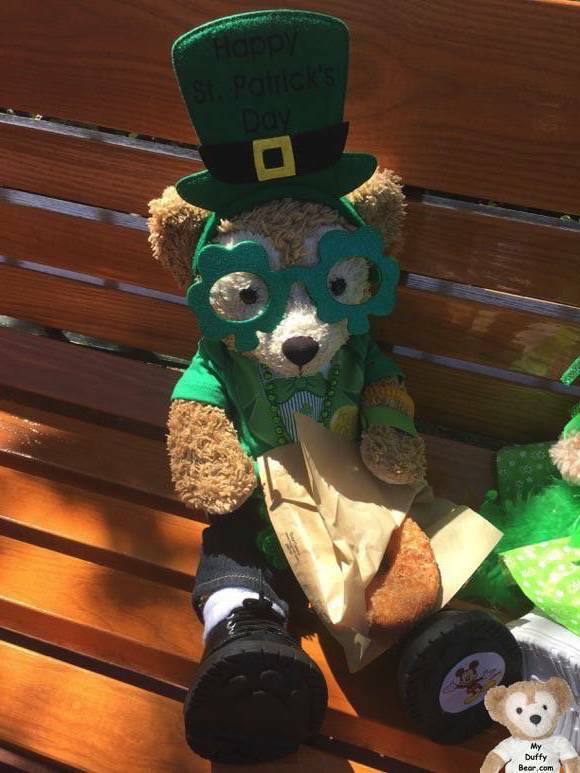 The Lucky Leprechaun – (that’s me!) Just scored a Cronut! 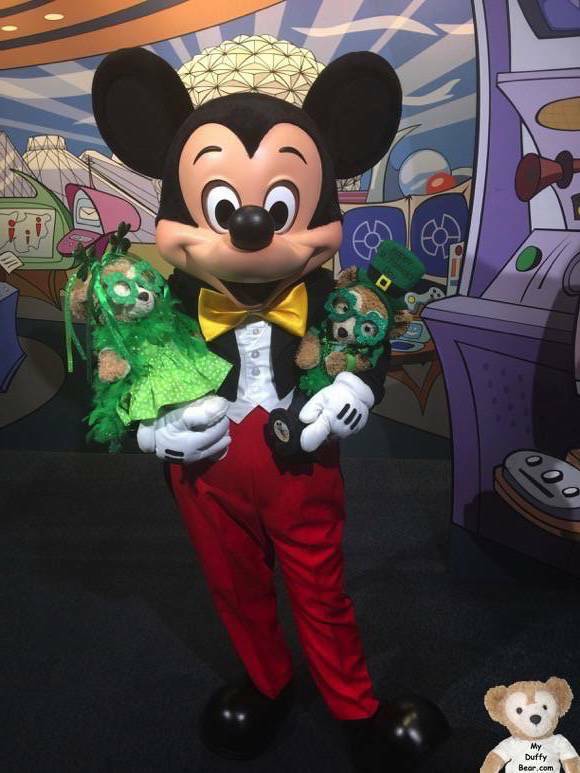 I’m in EPCOT park today celebrating Saint Patrick’s Day! I was too excited this morning and forgot to eat breakfast before we left the house. This yummy, sugary Cronut should fill my hungry little leprechaun tummy! …… well maybe I didn’t really forget to eat breakfast….. we don’t have Cronuts at home and it’s been a super long time since I got a Cronut… Oh wait…. A Cronut is a Croissant Doughnut tossed in Cinnamon Sugar! Yummers! I gotta taste it to make sure it’s not poisoned before I share it with ShellieChristine. I love my sister, ShellieChristine, too much to let her get sick, so I always sacrifice and take the first bite… and sometimes a second or third bite too! I love my sister too much to let her get sick. Oh – No! No, No and NO! I won’t get sick if there’s any poison because I’m a Lucky Leprechaun! I even passed a long my luck to…. 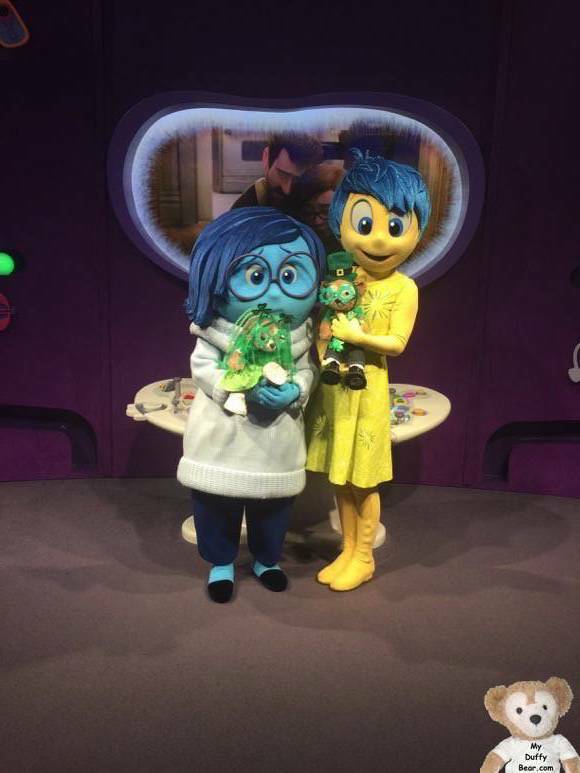 I think I saw Sadness smile when I gave her a Lucky Leprechaun Kiss! Mickey Mouse was ready to follow us over the rainbow to me wee little Pot ‘o Gold! Hehehe! 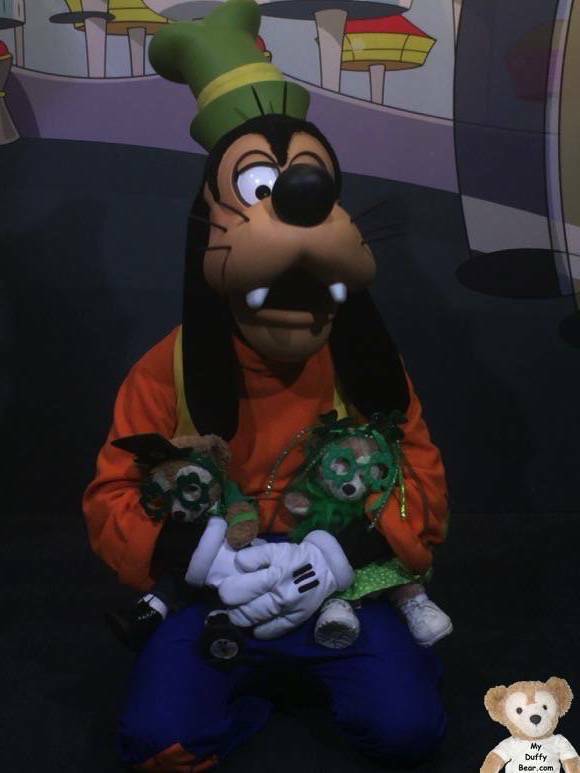 Goofy knelt down to take pictures with us like he does with all the little kids. He never did that before with me. It was so cool! 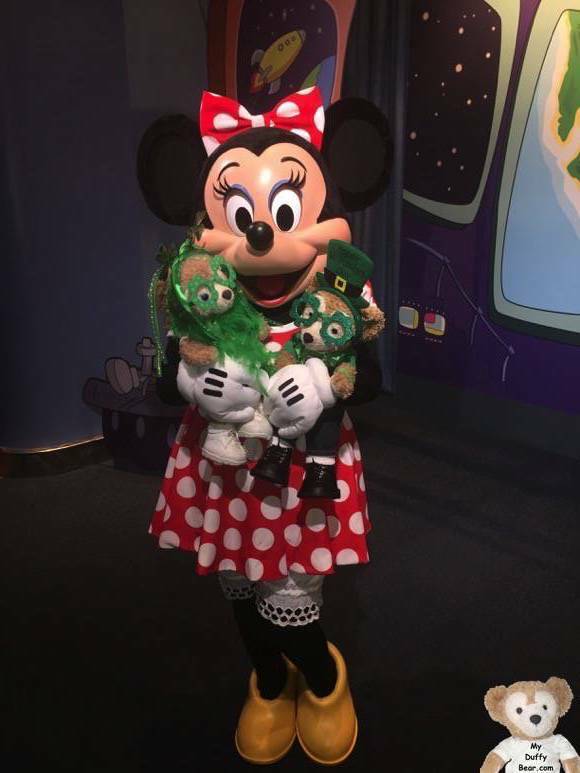 Aweeeee… Minnie Mouse just has so much love in her heart. I can always feel it in her hugs. I think that’s why I’m the Bear of Happiness and Luck! Now….. I’m heading to where I stashed my Pot of Gold! 6 Responses to Happy Saint Patrick’s Day! Y’ALL LOOK DANDY DRESSED FOR THIS HOLIDAY! HAVE FUN, TODAY. Thank you Auntie Sandra! Me & ShellieChristine had a bear-riffic time! That looked like fun! I hope you had a good St. Patty’s day.? 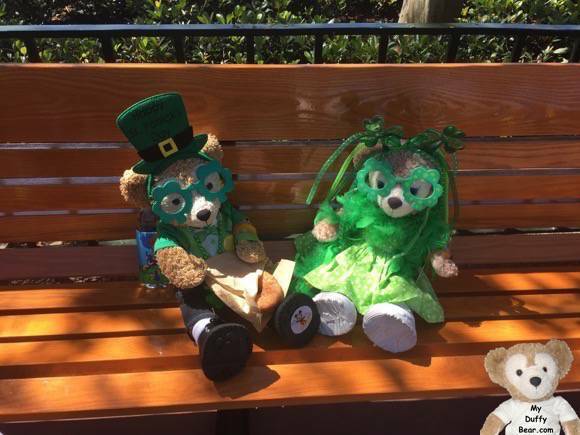 Did you have a fun St. Patty’s Day too? I did, thanks. A leprechaun visited my classroom! SaWeet! Did he bring his Pot ‘O Gold? …. Or even better… Maybe a pot of chocolate candy???!!! !